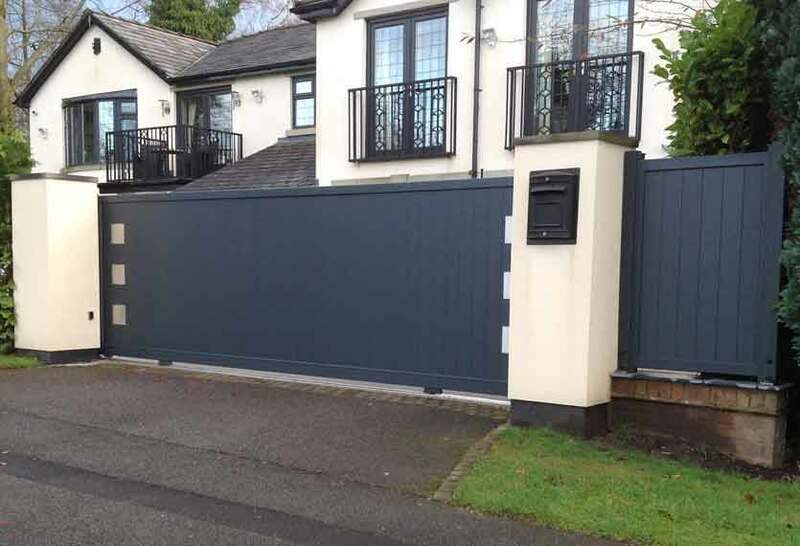 Click on the images in our gallery below to view the Stainless Collection of aluminium gates in more detail. 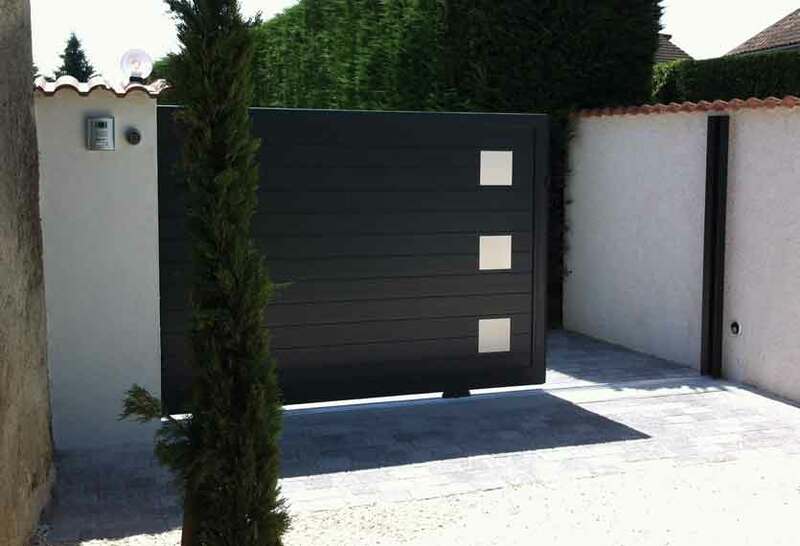 Resolutely modern, the Stainless range of gates are available with several insert options. The stainless steel inserts are 2mm thick, 316 L brushed stainless steel. They are fixed onto the gate slats with stainless steel screws, visible on the inside only. 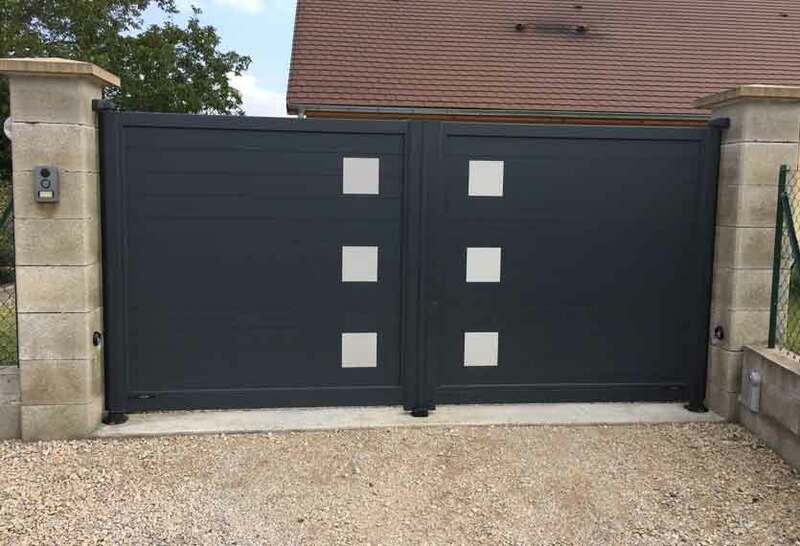 You can choose from “square”, “diamond”, “vertical” & “horizontal” inserts, fixed on both sides of the gates and in various positions also. 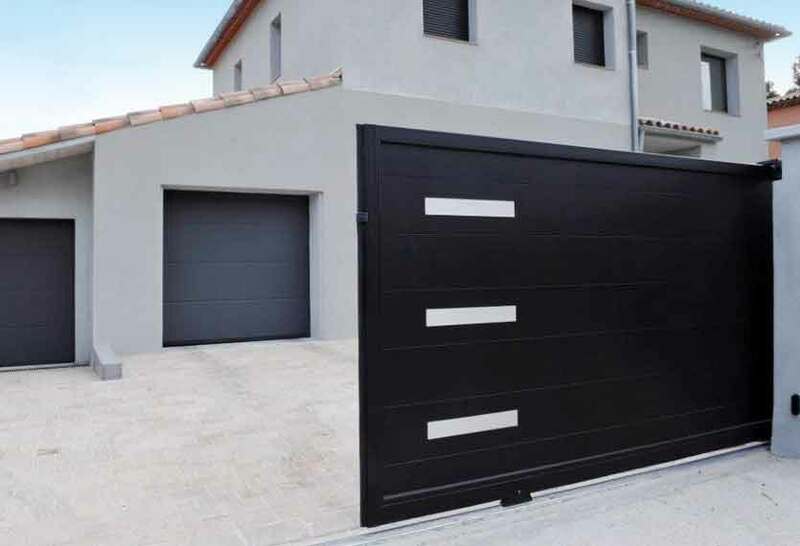 With a full range of standard and non-standard RAL paint finishes, we can colour match garage-doors, front-doors and all other architectural house-hold features. 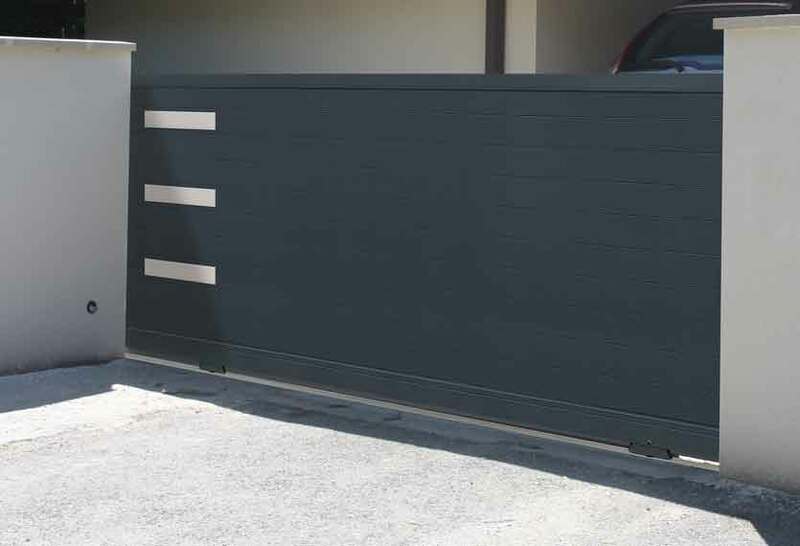 Every gate within this range is flat-topped and you can choose from 125mm wide vertical and horizontal boards or even wider horizontal boards only, at 250mm if preferred. 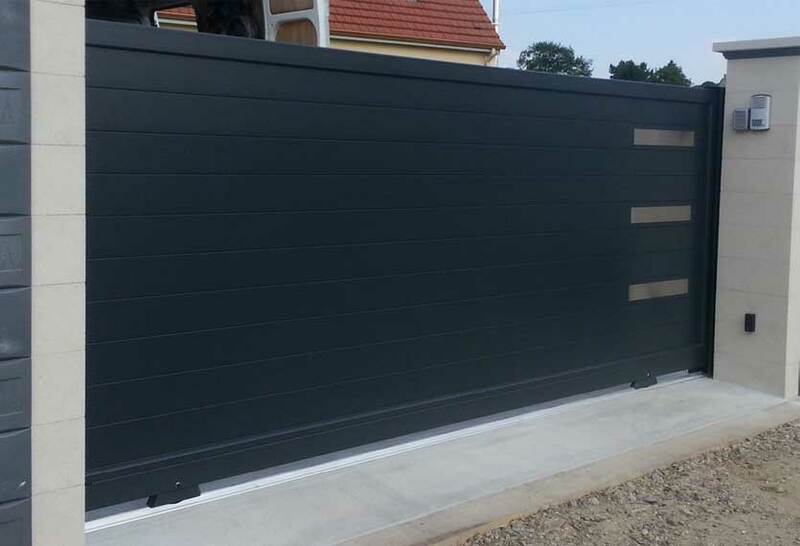 We offer all models in Swing or Sliding types with all other matching products such as pedestrian gates and fencing. 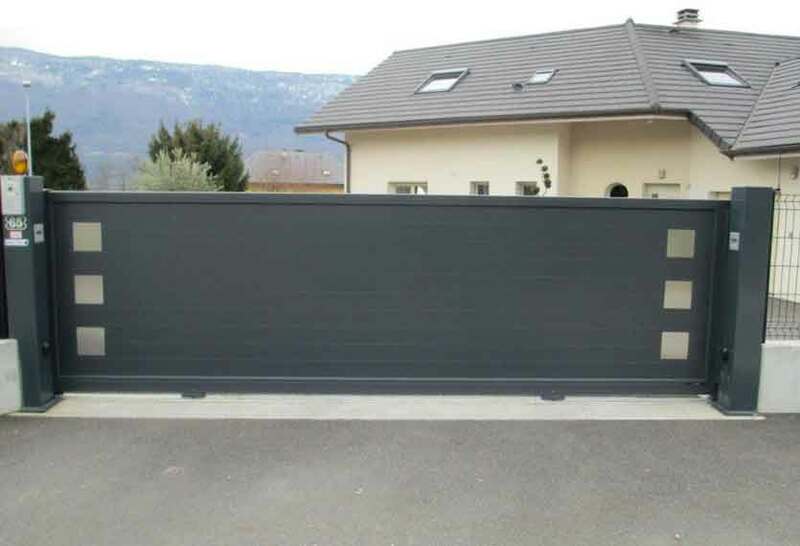 All manual gates throughout the Horizal range have full locking facilities for added security. 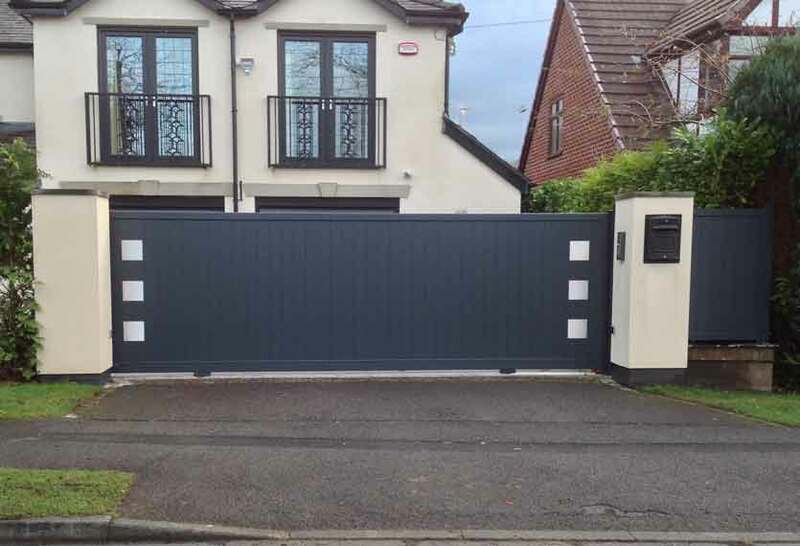 If you require an automated gate, the framework is reinforced in the bottom cross rail to cope with the rigorous continual use and to stand the test of time. One added point is that with any design involving stainless steel products, we do not guarantee installations within 1km of marine coasts as the salt-air has an adverse effect. This stylish popular collection, creatively modern in all aspects, offers the ultimate in minimalistic design and is proving to be a preferred choice for customers wanting something incredibly simplistic. 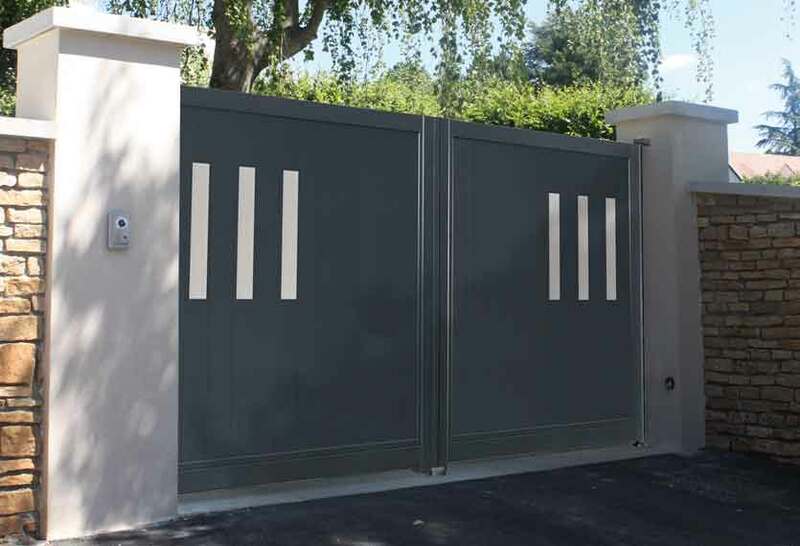 For detailed information on the Horizal Stainless collection of aluminium gates, including personalising your gate, and how to choose your ideal gate, please download our guide. Alternatively an overview of available features can be found in the tabbed area below. 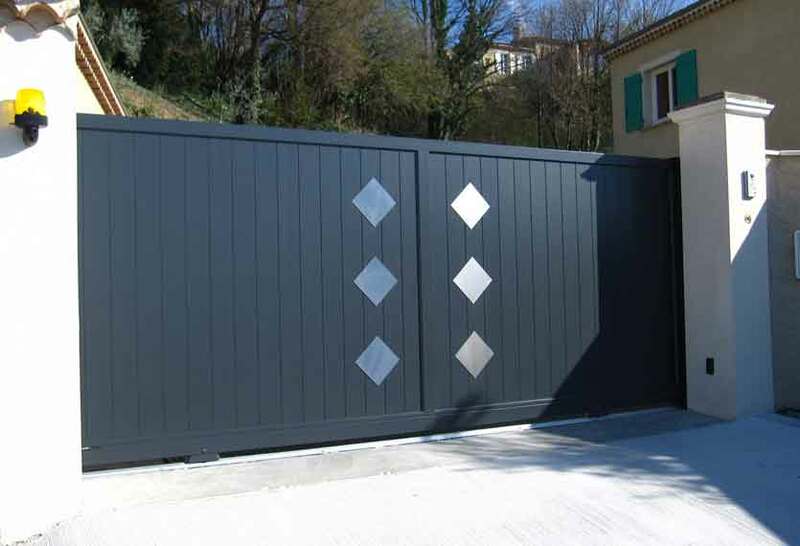 The distinctly modern gate range of Decors Inox are available in several variants with 4 types of inserts: squares, diamonds, vertical lines and horizontal lines. 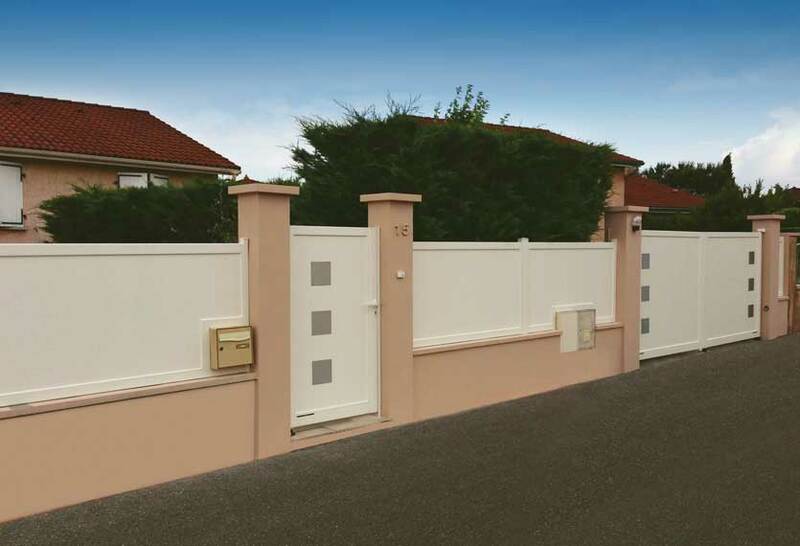 All gates are available in swing and sliding versions, with matching pedestrian gates (wall top fencing on request). All stainless steel models are only available in flat top versions.